Rachel has spent a few months enjoying Melbourne shopping, cafes, bars and restaurants while also fitting in a bit of Wagner ….4 operas and about 15 hours of it! I think she will be very ready to play something more intimate soon, maybe we'll need a trio arrangement of highlights from the Ring to make her feel at home? Valmai has gone for Baroque, including playing concerts with the Sydney Consort and Salut Baroque and at the “Global Corelli” conference at ANU. For variety she also recently played in the orchestra recording the soundtrack for the Lego Movie. Everything is Awesome! After her sudden hospitalisation which led to the unfortunate cancellation of our concert in Blackheath, Deb has met lots of doctors, (on a purely professional basis!) but has now made a complete recovery, even with a scary amount of teaching and examining. Henry has been learning the mysteries of Joomla and has been very busy with our new look website. Where has 2013 gone? We have managed to all meet up to start planning TPS in 2014; dates and repertoire are taking shape so watch this site for more details soon. The good news is we will be continuing our series in Blackheath and Moruya with occasional “events” in Sydney. Special thanks to Peter and Tanny Freeman for generous financial support which will help with the costs involved with getting our concerts to the South Coast. Have a look at our “Patrons” page if you are interested in helping us to keep the music playing in Three Piece style. One of the best known tango tunes in the world is by a Dane! The original one hit wonder, Jacob Thune Hansen Gade, (no relation to the earlier composer Niels Gade, teacher of Grieg and Nielsen) 1879-1963, was a violinist and composer of light orchestral music who remains famous for this piece alone. Jalousie, Tango Tzigane was originally written for the Danish gala premiere of Don Q, Son of Zorro (1925) starring that famous pair Douglas Fairbanks and Mary Astor, and was an almost instant international success. Music in silent film was always an essential for supplying the mood and emotional cues. Some studios even had musicians playing on set during filming to provide atmosphere. In the US, cinemas were the largest source of employment for instrumentalists; small ones had just a piano but the more grand would boast anything from an organ up to a small band/orchestra. Theatre Organs were developed that could create all sorts of sound effects from thunder to galloping horses. There were three basic ways music was used: improvisation, use of existing pieces and original scores. Improvisation obviously was not going to work for orchestras so cue sheets evolved. These were organised by the studio and listed titles, composers and publishers of appropriate pieces, when to play them, at what speed and for how long, as well as any miscellaneous other sound effects that might be needed. Many short genre pieces to fill in scenes, known as Photoplay music were written. Entire companies (eg the Cameo Thematic Music Company) evolved to compile and publish cue sheets and photoplay. The theatre bands owned up to 10,000 pieces and musical directors chose from their repertoire or composed new ones to suit. A fully original score was very rare, as time was always at a premium once the film was completed – one of the few examples is Fritz Lang's Metropolis. Musicians usually sight read their parts as there was no time for rehearsal! When the talkies replaced silent films from 1927-1930, entire libraries of photoplay music sheets were thrown out or used as scrap paper – there must have been serious unemployment among all those musicians too. The best pieces were reused in soundtracks and Jalousie has been estimated to have featured in over 100 other films and numerous TV shows, including Anchors Aweigh, Silent Movie, Death on the Nile, The Man Who Cried. In its original form the tango featured solo violin and orchestra, but many different arrangements were quickly published, including piano solo and lyrics were added in various languages to create songs. Our concert dates are upon us, so time for some more quotes! 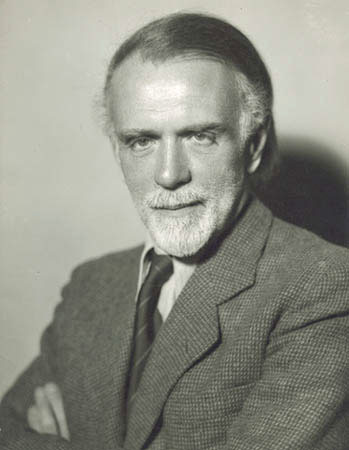 Zoltán Kodály is just as famous today for his contributions to ethnomusicology and music education as he is for his compositions. Kodály was instrumental (or more perhaps more accurately – vocal!) in establishing new principles for music education in Hungary. He criticised the poor quality of works used and the fact that music was taught only in secondary schools. Together with colleagues, he designed a new curriculum, with teaching methods based on the “musical mother tongue” of children, their own folk music as well as writing many new pieces for students. At first study was based on song as they reasoned that it was the most natural means of expression. Students learnt to sing in tune, improvise, read music and sight sing. Some elements were adapted from other systems, e.g. Tonic Sol-Fa. Music Primary schools, where Music was taught every day on an equal footing with Maths and Languages, were established in Hungary from 1950 and the method spread around the world, still recognised today as one of the cornerstone philosophies in music education. Music is a prime necessity of life. Only music of the highest quality is good enough for children. Music education must begin nine months before the birth of the child. Music instruction must be a part of general education for everyone. The ear, the eye, the hand, and the heart must all be trained together. Later in the 19th century it was also used as a title for a character piece which could stand on its own – Brahms especially used it thus in his chamber music and solo piano works. This is where our Intermezzo for String Trio by Kodaly fits and other well known examples include Shostakovich - String Quartet 15 and Bartok - Concerto for Orchestra. Besides The English dancing Master, Playford also published other music collections, including Apollo's banquet (1651), Musick's Handmaid (1678), Court Ayres (1655) and the Division Violin (1685). This last was a “choice collection of divisions to a ground for the treble violin”, which is nothing to do with mathematics or gardening! A ground was a repeating bass line and harmonic structure over which the melody was “divided” or broken up and varied with ever faster passages and figures. It was the English version of Theme and Variations and was most popular in the 17th century when performers were well versed in improvising these in performance. 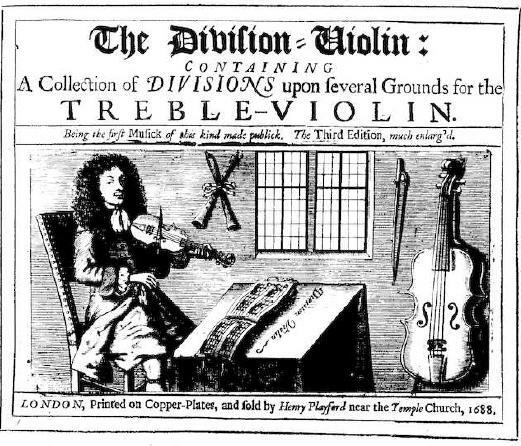 As Simpson put it in 1659, the musician “having the said ground before his eye, plays such a variety of descant or division in concordance thereto as his skill and present invention do then suggest unto him”. We won't be attempting that for you, but will be performing an arrangement of selected divisions on the song Iohn come kifs me nowe (John come kiss me now) by David Mell and Thomas Baltzar, both famous fiddlers in their day. A venerable song, this tune had long been a popular subject for variations, including a set for the virginals by William Byrd, possibly played by Elizabeth I herself. There is a Byrd connection too with another dance tune we will play, (this time arranged by Marshall Barron in 1986) as he also wrote a keyboard version of All in a Garden Grine (green). Everything old is new again!